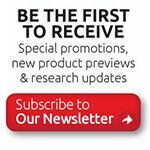 AbraxSys announced today the release of a new 12.1” harsh-duty, sunlight readable LCD series which incorporates an IPS industrial panel and Projected Capacitive Touch Screen. 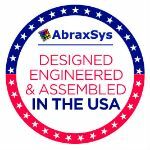 AbraxSys' 12.1” high bright, sunlight readable, touch screen LCD monitors are ideal for use in any high ambient light condition, delivering the intensity, brilliance and long product life cycle your application requires. AbraxSys enhanced high bright TFT active matrix displays have brightness level of 1100 nits (cd/m2); these direct sun daytime readable LCDs significantly outperform commercially available non-enhanced products that washout in sunlight conditions. IPS panels display consistent, accurate color from all viewing angles. This is a big advantage over that of TN panels (twisted nematic). Unlike TN LCDs, IPS panels do not lighten or show tailing when touched. This is important for touch-screen devices. IPS panels offer clearer images and more stable response time. The complete system depending on the customer-selected outer layer can resist impact, scratches, vandalism, heat, rain, snow, and ice or harsh cleaning fluids, making it well-suited for outdoor applications. This newly released series offers such features as extended operational temperature ranges, true industrial grade TFT panels, a multitude selection of inputs including VGA, DVI, DisplayPort, S-Video and Composite. This series is designed to operate in harsh areas and even in direct bright sunlight, or in other high ambient light conditions. The front bezel is constructed of high-grade stainless steel and is very well gasket sealed to protect against driving rain or hose-directed water pressure. The rugged rear enclosure is fabricated of 6061 Grade Aluminum which has been Zinc- Chromate Dipped and then treated with Corrosion Resistant Thermoset UV-stable Black Powder-Coating. AbraxSys has added a versatile Analog-Digital interface board, backlight inverter and OSD controls. All elements have been packaged into a compact, rugged housing. These rugged models offers exceptional shock and vibration safeguards. 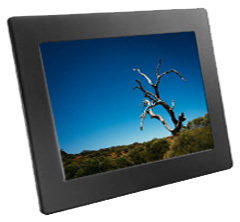 This product is very ruggedly built, features long-life displays with no scheduled End Of Life. Incorporating the latest LCD and control electronics you are assured a display the will perform reliably in harsh industrial environments. Various add-on features can also be incorporated into each model including.